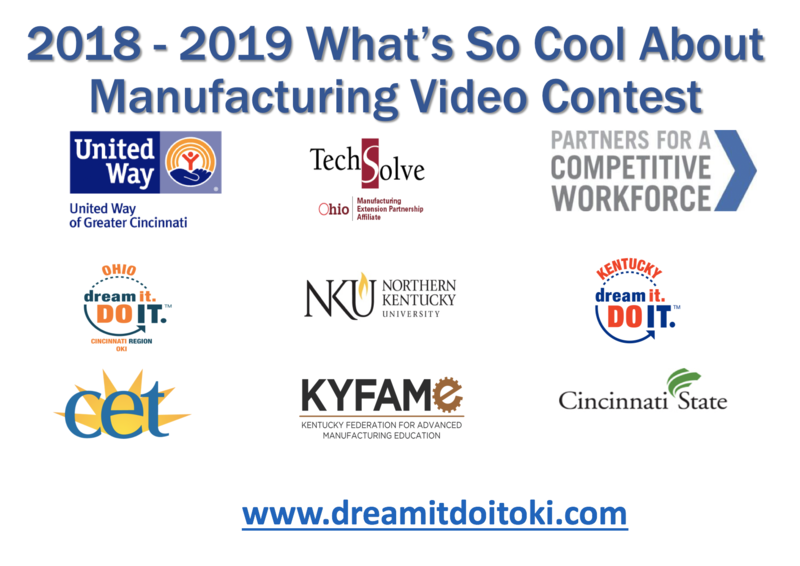 Dream It Do It's, "What's So Cool About Manufacturing" Video Contest is a program designed by employers and educators to help improve the image of manufacturing as a career choice with the objective of recruiting more young people to vocational and technical schools that feed talent to the manufacturing industry. Teams of middle school students, led by teacher coaches, are provided with video equipment and instructional materials and matched with local manufacturers. 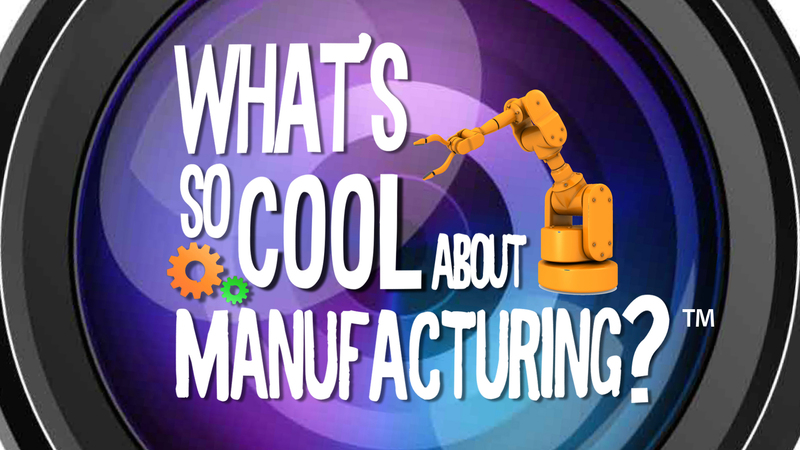 Each team has four months to create a short video profile of partner companies, and the career opportunities they offer to answer the question, "What's So Cool About Manufacturing" The entries are judged by an expert panel and public vote—hosted on the Dream It. Do It. Website. Winners are recognized at an awards ceremony by industry and education leaders, dignitaries, and elected officials. This project is sponsored by Duke Energy and United Way of Greater Cincinnati. Strategic partners include TechSolve, Northern Kentucky University, Kentucky Fame and WCET Connect, Cincinnati State and Cincinnati’s Public Broadcast Station. For more information, contact Debby Combs at debby.combs@uwgc.org. The 2019 Video Contest voting tallies for March 5, 6 and 7, 2019. Please join us for the Award's Ceremony on March 14th at 5:45 - 7:30 p.m. at Northern Kentucky University in the Student Union Ball room! To vote for your favorite video on March 5 – 7, click here.